Jerry has an extensive business background as a senior executive, Chief Executive Officer, and Board Member. He now uses this experience to assist owners and executives grow their organisations and become better leaders. Jerry spent the early years of his career with global conglomerate Tenneco. He held a number of increasingly responsible positions in their North American sales and marketing structure. His last position with Tenneco was as their Director of National Accounts where he led their client relationship efforts. After his time at Tenneco, Jerry assumed a variety of roles with global packaging organization Scholle. Jerry was responsible for their North American Sales and Service Operations base out of Chicago. He was then appointed Managing Director of their Asia Pacific operations headquartered in Adelaide. Following a decision to relocate to Australia Jerry became involved with a greenfield start up business. He went through the birthing pains of raising capital and building the organisation from the ground up. Jerry has been the CEO of AMCHAM South Australia as well as peak industry body Defence Teaming Centre. In both of these roles, Jerry worked with SME/s, Corporate’s and Government to grow the opportunities for businesses in these sectors. 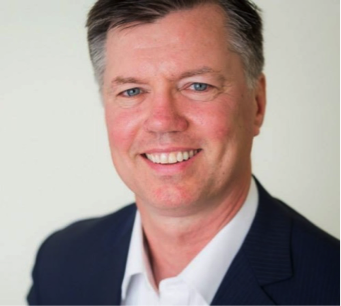 Jerry has been on the boards of Seachange Technology, Scholle Industries, AMCHAM, and Time for Kids as well as the Chair of the South Australian committee for JDRF. In 2003 Jerry started Kleeman International which provides organisations with expertise in strategic planning, strategic human resources, coaching and mentoring. Jerry specialises in the SME marketplace. He has worked with a wide variety of small and midsized businesses from start-ups, to family businesses, to publically traded organisations. A number of companies that Jerry has worked with have become State and National Telstra Businesses of the Year, South Australian Exporter of the Year, SA and National Telstra Business Woman of the Year and Regional Businesses of the Year. Jerry has given over 8,000 hours of 1-2-1 coaching to clients over the years. He is an award winning Executive Coach with a proven track record. Through The Executive Connection (TEC) Jerry focuses on developing the leadership and management capabilities of his TEC members. He provides a safe but challenging environment for leaders to reach their potential in both their business and personal lives. Jerry has chaired TECR 215 since 2004. He has been the Chair of TEC 53, KEY 106 since 2006 and KEY 119 since October 2015. He has regularly received awards from The Executive Connection on coaching excellence. Jerry has both an undergraduate degree in Business Management and an MBA from Northern Illinois University. He has undertaken significant postgraduate work including Strategic Planning at the University of Wisconsin. Jerry has completed the AICD Company Director course as well as numerous courses in coaching and mentoring senior executives. Jerry is a contributor to our Boardroom Bootcamp course for the topics Leadership, Behaviours, and Management Relations: the CEO and Senior Management. Contact Jerry via his website or LinkedIn.